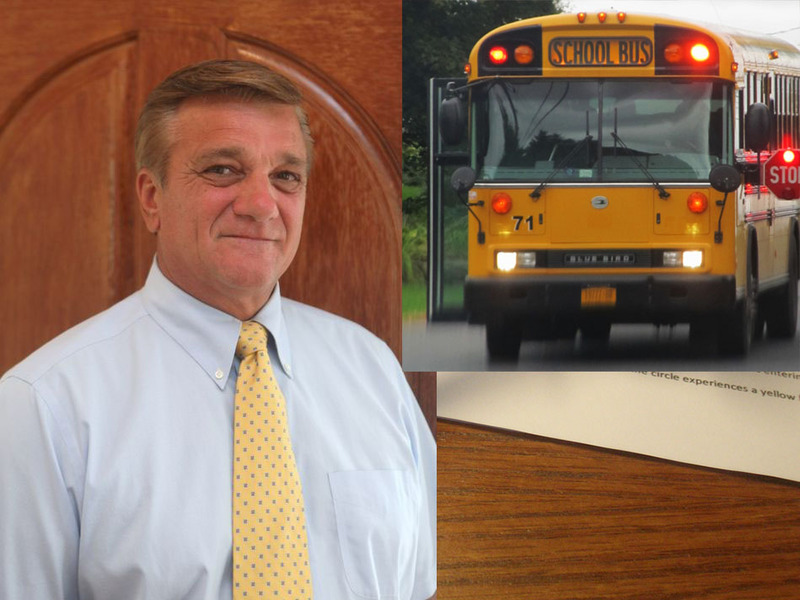 An investigation into suspended Brick schools superintendent Walter Uszenski was initiated after a school bus driver who lost her job when she left a child on a bus provided information to Mayor John Ducey about the case, a document produced by the Ocean County Prosecutor’s Office and obtained by Shorebeat said. The document, an investigation report narrative written by a detective from the prosecutor’s office, said Ducey met with Prosecutor Joseph D. Coronato only after the probationary bus driver, identified as Marcella Butterly, went to his office and made the allegations, some of which have now been proven false, according to court documents and sources with knowledge of the case. Uszenski’s grandson was, in fact, attending a private facility on Princeton Avenue in Brick – not Beachwood – and, according to sources, the EEC building was not being used for classes at the time of the incident because of a mold issue. Last week, an indictment alleging Uszenski – who remains suspended from his position without pay – commited a crime by allowing the grandson to attend the private school was dismissed by Superior Court Judge Patricia Roe, who was critical of prosecutors for failing to include exculpatory evidence a grand jury presentation. Sources also confirmed Butterly was terminated from her position after the incident. She was a probationary driver at the time it occurred, records showed, having been hired in Feb. 2014. Ducey said Monday that he only relayed information to the prosecutor’s office that the driver told him, a fact which the report confirmed. “Mayor Ducey advised that he did not question Ms. Butterly about the transportation of the purported grandson of the superintendent,” the narrative states. Ducey spoke to a Shorebeat reporter on the matter Monday. “Once she told me those facts, I had an obligation, in my mind to go to the prosecutor’s office,” Ducey said, adding that his decision to take the matter directly to the prosecutor was an example of “following the right channels.” He said he did not inform authorities of any allegations besides what the driver, now identified as Butterly, told him. “I’m assuming they took my information and investigated it,” said Ducey. “If this did turn out to be true, and I didn’t relay it, then they’d be saying I was part of some coverup,” Ducey added. A woman who answered a phone number associated with Butterly initially told a reporter she believed the call was a prank from an old friend, eventually hanging up. The woman, who never identified herself, called back about 15 minutes later to ask the reporter what question he had about a meeting with Ducey. She declined to identify herself, then called the question “bizarre” before hanging up the phone a second time. The prosecutor’s office has yet to decide whether it plans on presenting the case to a grand jury for a third time. Uszenski has retained a labor attorney in addition to his defense attorney to receive advice on how to proceed. Uszenski has more than a year left of his five-year superintendent’s contract, which expires June 30, 2018.